#2: You don’t become what you want, you become what you believe. #1: Daily Prayer: Oh, Lord, help me to keep my mouth shut until I know what I'm talking about. #2: Listen carefully to how a person speaks about other peope to you. This is how they will speak about you to other people. 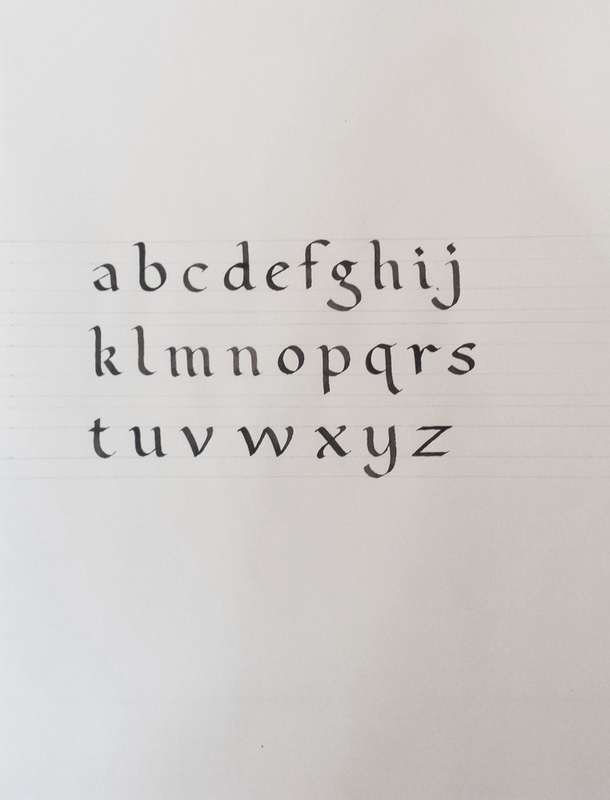 All lettering is to be done in the Foundational Hand. Many thanks to Programs Director Jean Formo for use of her exemplar—click here to view. Margins: top: 1"; left: 1"
#1: There is no elevator to success. You have to take the stairs. #2: Blessed are the flexible, for they will not be bent out of shape. *The exemplar indicates a 2.5 nib but the x-height, ascenders, and descenders are proportional to the pen nib width. However, please use a 2mm nib.